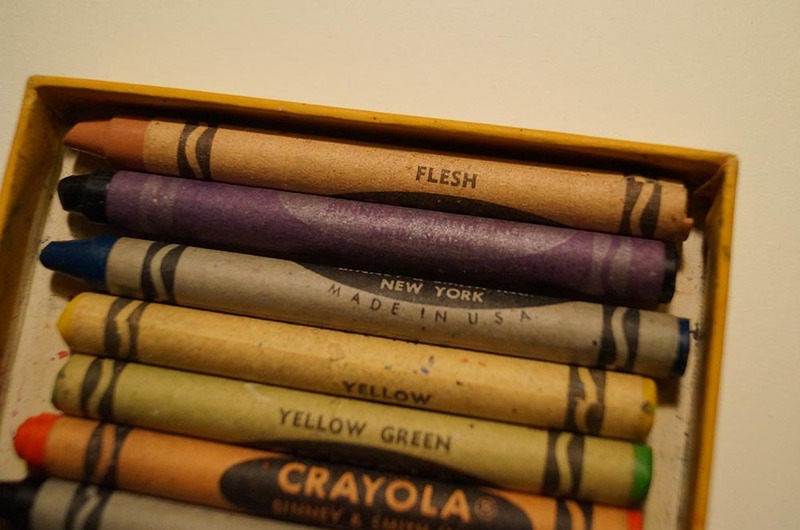 In 1962, Crayola voluntarily changed their “flesh” crayon. Guess what color of flesh it represented? They changed it to “peach” in an attempt to avoid any legal issues. 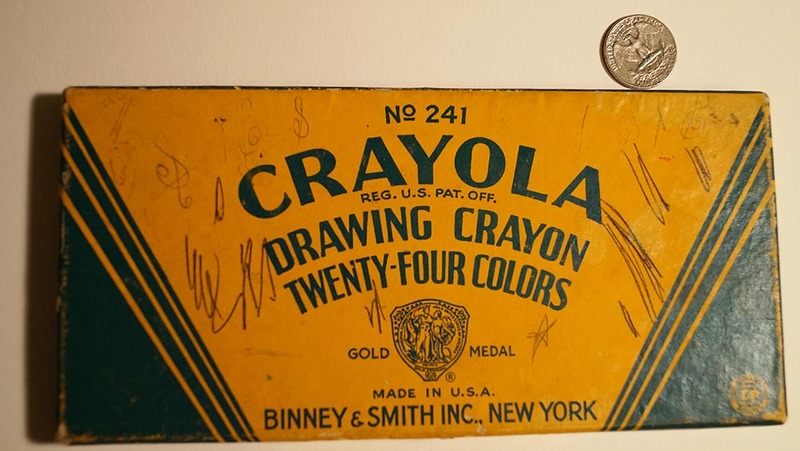 This 24 count box of Crayola Crayons is missing 4 colors. 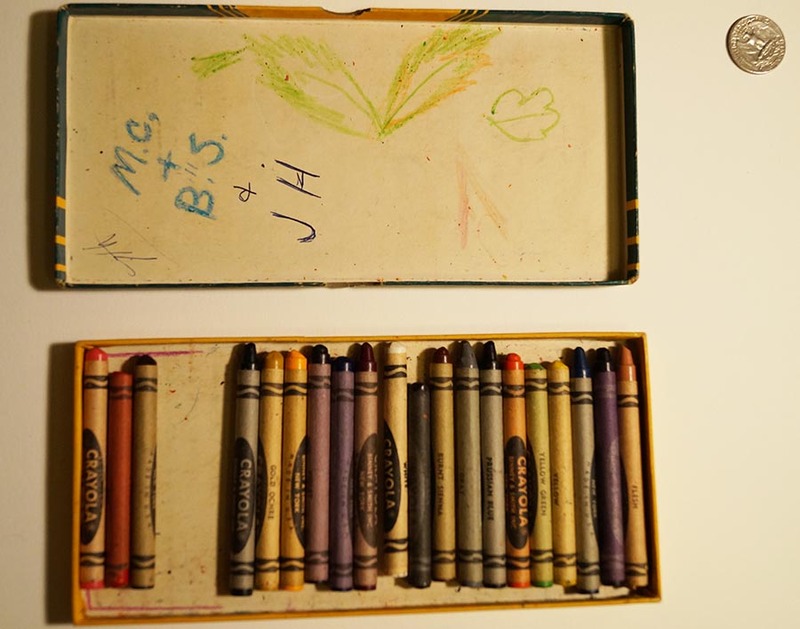 The box is in good condition, though you can see wear and scribble marks in the photos.